This year was my first NPGA Southeastern 2018 event in Atlanta. I was told before the event that it was the epicenter of the propane industry and it didn’t disappoint. From the incredible conversations with propane marketers and suppliers to the interesting sessions during the conference, I came away with 5 important observations from my first NPGA. #1 Tank Monitoring is Hot Right Now! I counted 12 different tank monitoring companies hawking their wares at the conference. If you came to our side of the expo hall, you would have found “Tank Monitoring Alley” with several tank monitoring companies in a row. The Tank Monitoring panel discussion was also one of the best attended at the conference! And this shouldn’t surprise anyone in the industry. 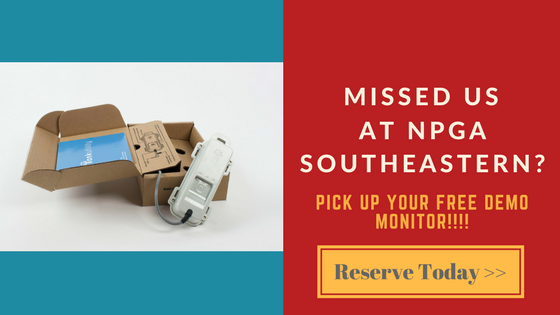 Tank monitoring represents a way to differentiate from the competition. In an industry that sells a commodity, you differentiate your business on how efficiently you run your operations or through how you sell and market to your customers. Tank Monitoring has been proven to help with both! 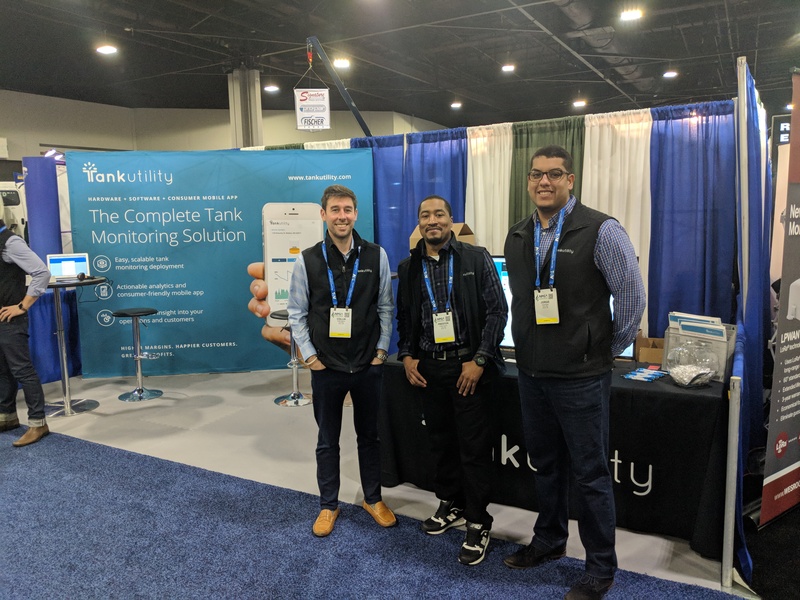 There are a number of tank monitoring devices in the marketplace that can help you with accurate readings of your customer tanks but what we’re seeing is a larger focus on how these companies are using the data to improve the operations of the companies using this data. With more granular data and insight into days till empty, unprofitable customer accounts and deep integration with their back office software, means that many organizations are making educated decisions on the latest tank level data of their customers. Our new Delivery Efficiency and Benchmarking Dashboards were a big hit for propane suppliers at the show! If you are a techie like me, you go around the expo and ask for software demos. While reliable hardware is integral to success for every propane business, I’m always interested in what that hardware enables you to do, which is where the software kicks in. I received demos of a number of back office, logistics and tank monitoring solutions and it’s really cool to see the innovation that is coming into the delivered fuels industry. Software to me is how we get value out of the hardware that we buy. We have a tremendous amount of data available to us about our customers, financials, customer tank levels, routes, employees, purchasing, etc. and we’re seeing software help to deliver insights into this data so we can begin to not only better understand it but actually use it to improve. Buying software is much different than buying bulk propane, bobtails, gauges, trucks and other key assets for your business. And while this is obvious, there is a danger here for buyers to see all software decisions whether back office or tank monitoring as “apples to apples” decisions. How does the software integrate AND enhance my current systems? How will the software help our team do their jobs better? How does the software prove its own success? What is the current product roadmap? What was on the roadmap last year and what did you build? Is the software built for mobile? There are a ton of questions that are important but it’s important that your perspective needs to take into account both how you will use the software TODAY to improve your business but how it can grow with you TOMORROW as well. With the difficultly in differentiating between providers in the evaluation process, we’ve seen a number of companies offering the ability to demo and test their products before large purchases. This is something I’d definitely recommend and not just to test the product but to TEST the relationship. In a typical evaluation process, you can do a ton of due diligence on the product and how it fits into your existing ecosystem and business. And feel pretty good on your handle for the product. However, getting a feeling for the relationship is very difficult unless you test it out, deal with the customer success team in setting it up and see how the partner handles troubleshooting when things don’t go as planned. This will tell you a lot about the partnership you will experience once you make a larger investment and it’s critical you know this before you make a strategic investment with a partner. Spending 5 days with the Tank Utility team at NPGA was a great experience. I really like this team. We have a group of highly talented people on the team but the biggest thing that stands out is that they are all great people. And this has given us the opportunity to sell to great fuel suppliers. I had tremendous conversations with many of our customers and prospects at the booth, at dinners and grabbing a drink or two and it’s been wonderful to hear about their businesses and how our partnership has helped them earn more money and build better relationships with their customers. We really like our customers and it’s great to see our customers coming together at events like this to share their success stories and best practices. Thanks to Preston, Jorge, Amos, Aaron, Collin, Raj and our customers for making it a fun and successful conference!